A patchwork blanket, in case it ever gets cold. 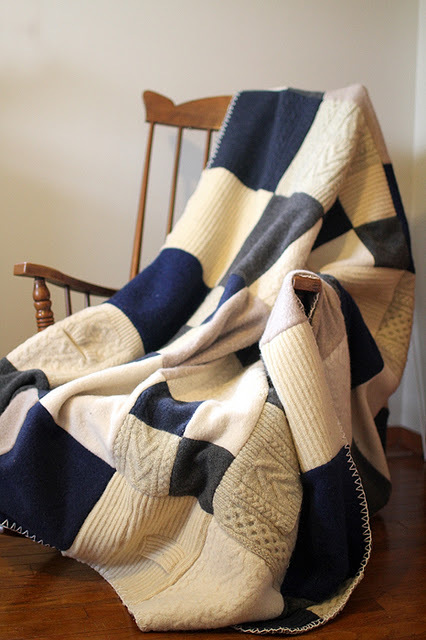 Just found this great tutorial from Yellow Suitcase Studio on making a patchwork blanket from felted sweaters. I love this idea, looks like it would make a great gift too. This tutorial is really well done with lots of great photos.